When I think of the bed of my dreams—that all-encompassing, dreamlike, feels-like-a-cloud bed—I almost always imagine it overflowing with down pillows. Really, I imagine it over flowing with down everything: mattress, comforters, pillows, mattress toppers. But the pillows are most important. That said, down pillows may not be for everyone. And you can even find yourself waking up with a stiff neck if you get the wrong down pillow. More than any other pillow type, it’s important to get this one right. And that’s where we come in. Here’s a breakdown of the best down pillows for the money, why you might need one, and what to look for when you want to buy. Let’s dive in. Down pillows are basically just pillows stuffed with feathers. For natural down pillows, the most common type of stuffing is duck feathers, although other feather types are used from time to time, especially by smaller, boutique manufacturers. In natural down pillows, feathers from a duck’s chest, back and wing regions are used most often, since they’re typically the softest. That said, natural down pillows need a bit more care and offer far less support, which is why lots of folks opt for synthetic-filled pillows and down-alternative. Down pillows have a great many benefits, but they’re honestly not right for every person, so it’s probably wise to seriously consider﻿ which pillow is the best fit before you take the plunge. 1. They’re warm. Down pillows are super-duper warm. Humans have been trying to create materials that can match down’s warmth-to-weight ratios for some time, but we haven’t been able to do it yet. 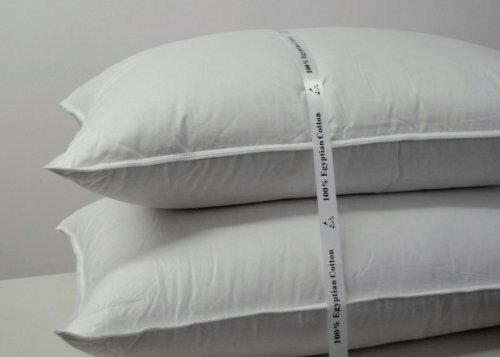 It’s nature’s best insulator by far, and a down pillow will keep you plenty warm on cold nights. 2. They provide customized support. Down pillows are very pliable, and they’ll kind of… mold themselves around your head when you use them. It’s part of what makes them so comfortable. 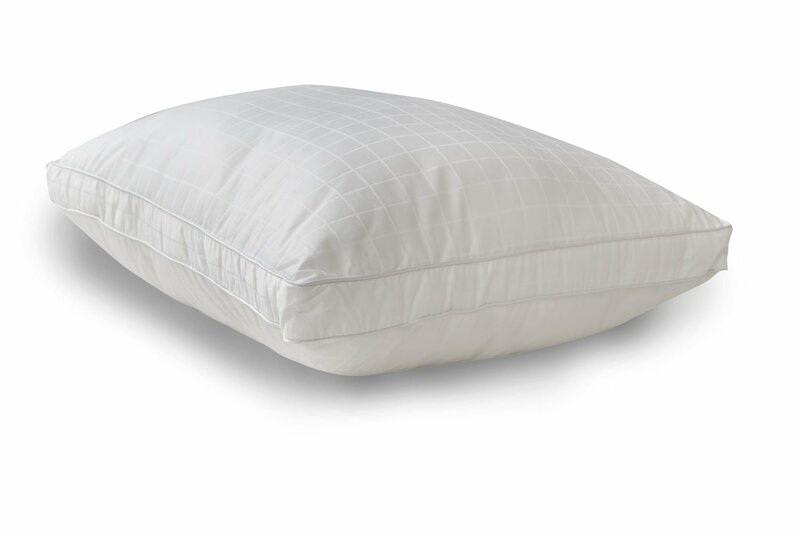 When used correctly, a down pillow can conform to your neck and shoulders almost as well as a memory foam pillow. 3. They provide a “thin pillow” effect. When you sleep on a down pillow, the weight of your head will naturally pack the feathers down a bit, which reduces the lift and gets your head closer to the bed. This, can help your neck and spine retain much of its natural curvature, which is especially good for back sleepers. 4. Down pillows are really, really soft. The biggest and most obvious benefit of down pillows is probably just that they’re super-soft. There’s just something about laying down in bed and letting your head sink into a down pillow that can knock you out in the blink of an eye. Plus, it feels luxurious. Down pillows can be a great option, especially for back sleepers, but they’re not without their drawbacks. Here are a few things you should consider. 1. They’re warm. Yes, this is both a benefit and a drawback. If you’re in Chicago in the middle of the winter, a down pillow is really nice. If you’re in Arizona in the middle of the summer, a down pillow is likely going to find itself on the floor. Down feathers are built to insulate heat, and they’ll do it no matter what temperature it is outside. 2. They don’t work as well when wet. Sweaty sleepers may want to steer clear of down pillows. Getting down wet causes it to (1) lose almost all of its loft and (2) lose its ability to retain heat. Basically, sleeping on wet down is like sleeping on wet leaves. It’s gross, cold and uncomfortable. 3. It needs some maintenance. Down needs a bit of extra love to stay in good shape. That means you’ll need to find a good zip cover, and, if you want your pillow to last for a really long time, you probably need to give it a daily (or at every other day) fluffing. 4. It can wreak havoc on allergies. Down comes from an animal, so it really can make allergies go crazy. And, obviously, if that’s you, the last thing you want is to bury your face in something that’ll trigger an allergic reaction. Down alternative is a type of synthetic filling. 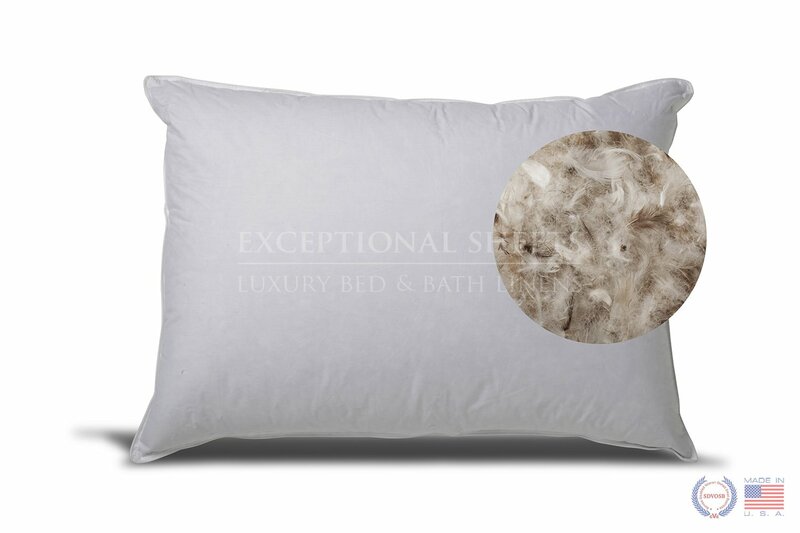 It’s designed to emulate the fluffiness of a down pillow without causing allergic reactions. Because it’s synthetic, it’s got a lot of the same benefits of other synthetic-filled pillows: it’s a bit cooler, it still performs well when wet, and it’s much easier to take care of. That said, down alternative is usually much heavier than natural down, and the quality can be tough to gauge (it’s very easy to find low-quality down-alternative pillows). In other words, they’re a great compromise between natural down pillows and synthetic pillows, but you definitely don’t want a cheap one. Now this is a luxury pillow. This is a true down pillow filled with 100% goose down. The fill power is 750, and the down is 35 oz goose down. That alone, would be enough for me to whip out my credit card, but there’s more. This pillow is also made with 500-thread count cotton, and the seam is lined with silk piping, which makes for an even more luxurious feel (you almost don’t want to put a pillow case on it). This is a great pillow by Exceptional Sheets. It’s a 50/50 fill, which means it’s stuffed with 50% down and 50% feathers. The feather blend fill gives it a bit more firmness than a pure down pillow, and the feathers here are very high quality, which you can tell when you use it. This is the standard size pillow, but it’s also available in king, queen and jump sizes. Additionally, the pillow claims to be hypoallergenic (but down will always be allergenic to some extent for heavy allergy sufferers). 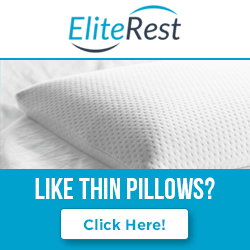 All in all, this is a great, high quality down pillow with a little added firmness. This is one of the better down alternative pillows out there. It comes with its own cotton cover and is machine washable. The fill is 100% microfiber, which, as discussed above, is pretty comfortable but also very heavy (which I kind of like, personally). 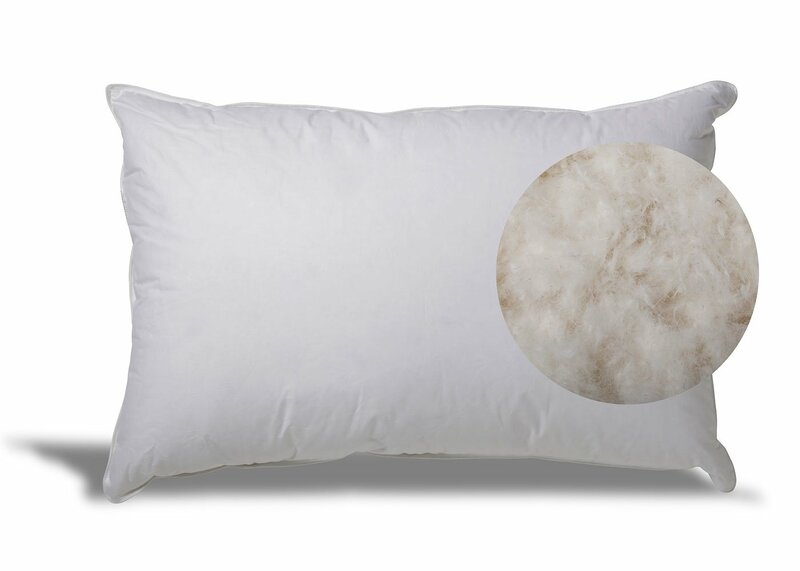 Plus, like all down alternative pillows, this is 100% hypoallergenic. That said, this pillow has way more loft than a traditional down pillow, which may be a bit of a shock to folks looking for a pillow you can really sink your head into. It’s a great fit for side sleepers, but back and stomach sleepers may want to try something with a little less loft and a little more give. This is Exceptional Sheets goose down option, and it’s very nearly as good as the one offered by Royal Hotel (above). The only reason we’re not rating it as highly as we otherwise might is that it’s not a 100% goose down filling, and 80/20 fillings have always seemed like a bad middle ground: it’s not quite as soft as a 100% pillow but not quite as firm as a 50/50. That said, it’s still very comfortable, and the quality is very, very high. It’s available in all four sizes, and it’s machine washable. They don’t provide their thread count, but these pillows certainly feel as luxurious as they look. It’s an 80/20 pillow but still highly recommended.